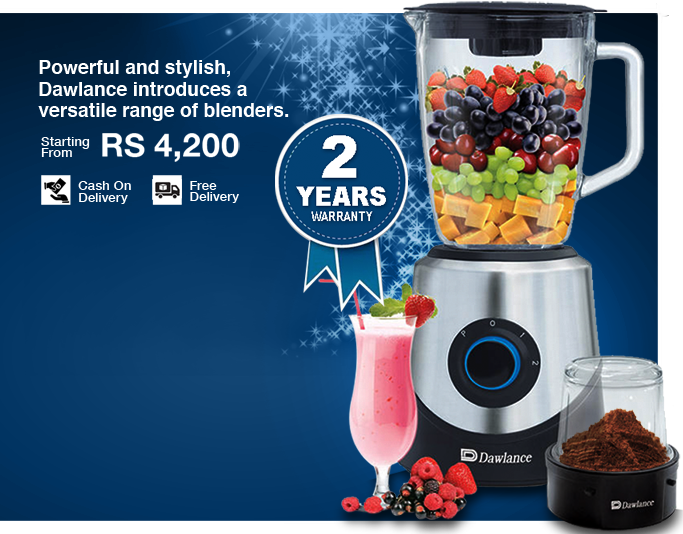 Dawlance introduces its versatile range of blenders which are powerful and stylish. Dawlance Blenders starting from Rs. 4,200/-. For buying Dawlacne Blenders Visit Dawalcne official website Here and fill up the form. Delivery is Free and Cash on Delivery.